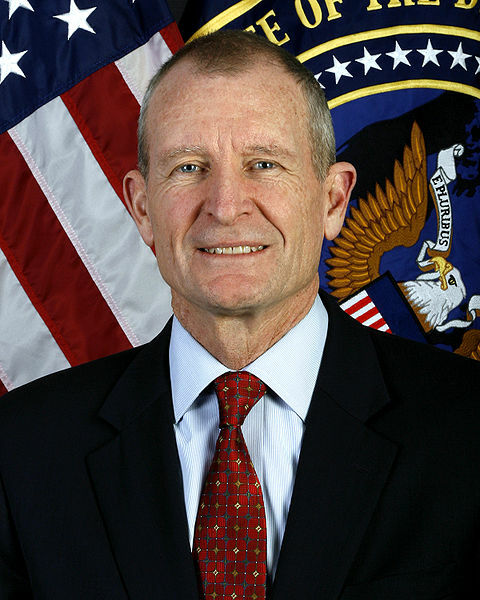 Dennis Cutler Blair (born 1947), is the third and current Director of National Intelligence and a retired United States Navy four-star admiral. Speaking at San Francisco’s Commonwealth Club September 15, Director of National Intelligence Admiral Dennis C. Blair, disclosed that the current annual budget for the 16 agency U.S. “Intelligence Community” (IC) clocks-in at $75 billion and employs some 200,000 operatives world-wide, including private contractors. Under the program, authorized state, local or tribal officials will be able to access pre-approved data on the Secret Internet Protocol Router Network. However, they won’t have the ability to upload data or edit existing content, officials said. They also will not have access to all classified information, only the information that federal officials make available to them. Since the September 11, 2001 terrorist attacks, the federal government has encouraged the explosive growth of fusion centers. As envisaged by securocrats, these hybrid institutions have expanded information collection and sharing practices from a wide variety of sources, including commercial databases, among state and local law enforcement agencies, the private sector and federal security agencies, including military intelligence. But early on, fusion centers like the notorious “red squads” of the 1960s and ’70s, morphed into national security shopping malls where officials monitor not only alleged terrorists but also left-wing and environmental activists deemed threats to the existing corporate order. It is currently unknown how many military intelligence analysts are stationed at fusion centers, what their roles are and whether or not they are engaged in domestic surveillance. If past practices are an indication of where current moves by the Office of the Director of National Intelligence (ODNI) will lead, in breaking down the “traditional fault line” that prohibits the military from engaging in civilian policing, then another troubling step along the dark road of militarizing American society will have been taken. As they currently exist, fusion centers are largely unaccountable entities that function without proper oversight and have been involved in egregious civil rights violations such as the compilation of national security dossiers that have landed activists on various terrorist watch-lists. Antifascist Calling reported last year on the strange case of Marine Gunnery Sgt. Gary Maziarz and Col. Larry Richards, Marine reservists stationed at Camp Pendleton in San Diego. Maziarz, Richards, and a group of fellow Marines, including the cofounder of the Los Angeles County Terrorist Early Warning Center (LACTEW), stole secret files from the Strategic Technical Operations Center (STOC). When they worked at STOC, the private spy ring absconded with hundreds of classified files, including those marked “Top Secret, Special Compartmentalized Information,” the highest U.S. Government classification. The files included surveillance dossiers on the Muslim community and antiwar activists in Southern California. According to the San Diego Union-Tribune which broke the story in 2007, before being run to ground Maziarz, Richards and reserve Navy Commander Lauren Martin, a civilian intelligence contractor at USNORTHCOM, acquired information illegally obtained from the Secret Internet Protocol Router Network (SIPRNet). This is the same classified system which fusion centers will have access to under the DoD’s new proposal. Claiming they were acting out of “patriotic motives,” the Marine spies shared this classified counterterrorism information with private contractors in the hope of obtaining future employment. Although they failed to land plush private sector counterterrorism jobs, one cannot rule out that less than scrupulous security firms might be willing to take in the bait in the future in order to have a leg up on the competition. Sound familiar? Call it standard operating procedure in post-constitutional America where high-level officials and senior officers walk away scott-free while grunts bear the burden, and do hard time, for the crimes of their superiors. Fusion Centers and Military Intelligence: Best Friends Forever! Another case which is emblematic of the close cooperation among fusion centers and military intelligence is the case of John J. Towery, a Ft. Lewis, Washington civilian contractor who worked for the Army’s Fort Lewis Force Protection Unit. In July, The Olympian and Democracy Now! broke the story of how Towery had infiltrated and spied on the Olympia Port Militarization Resistance (OlyPMR), an antiwar group, and shared this information with police. What Dunn discovered was highly disturbing to say the least. Towery, who posed as an anarchist under the name “John Jacob,” had infiltrated OlyPMR and was one of several listserv administrators that had control over the group’s electronic communications. The civilian intelligence agent admitted to Dunn that he had spied on the group but claimed that no one paid him and that he didn’t report to the military; a statement that turned out to be false. The WJAC is a clearinghouse of sorts of anti-terrorism information and sensitive intelligence that is gathered and disseminated to law enforcement agencies across the state. The WJAC receives money from the federal government. Also in July, the whistleblowing web site Wikileaks published a 1525 page file on WJAC’s activities. There has been extensive political debate in the United States on how safe it would be to move Guantanamo’s detainees to US soil–but what about their interrogators? One intelligence officer, Kia Grapham, is hawked by her contracting company to the Washington State Patrol. Grapham’s confidential resume boasts of assisting in over 100 interrogations of “high value human intelligence targets” at Guantanamo. She goes on, saying how she is trained and certified to employ Restricted Interrogation Technique: Separation as specified by FM 2-22.3 Appendix M.
Others, like, Neoma Syke, managed to repeatedly flip between the military and contractor intelligence work–without even leaving the building. The file details the placement of six intelligence contractors inside the Washington Joint Analytical Center (WAJAC) on behalf of the Washington State Patrol at a cost of around $110,000 per year each. The Wikileaks documents provide startling details on how firms such as Science Applications International Corporation (SAIC), The Sytex Group and Operational Applications Inc. routinely place operatives within military intelligence and civilian fusion centers at a premium price. Assange wonders whether these job placements are not simply evidence of corruption but rather, are “designed to evade a raft of hard won oversight laws which apply to the military and the police but not to contractors? Is it to keep selected personnel out of the Inspector General’s eye?” The available evidence strongly suggests that it is. As the American Civil Liberties Union documented in their 2007 and 2008 reports on fusion center abuses, one motivation is precisely to subvert oversight laws which do not apply to private mercenary contractors. Indeed, Shorrock learned that “no less than 70 percent of the nation’s intelligence budget was being spent on contracts.” However, the sharp spike in intelligence outsourcing to well-heeled security corporations comes with very little in the way of effective oversight. As we have seen when the Abu Ghraib torture scandal broke in 2004, and The New York Times belatedly blew the whistle on widespread illegal surveillance of the private electronic communications of Americans in 2005, cosy government relationships with security contractors, including those embedded within secretive fusion centers, will continue to serve as a “safe harbor” for concealing and facilitating state crimes against the American people. After all, $75 billion buys a lot of silence. Quarterly and Global Research, an independent research and media group of writers, scholars, journalists and activists based in Montreal, his articles can be read on Dissident Voice, The Intelligence Daily and Pacific Free Press. He is the editor of Police State America: U.S. Military “Civil Disturbance” Planning, distributed by AK Press.